I love reading out loud to my boys. 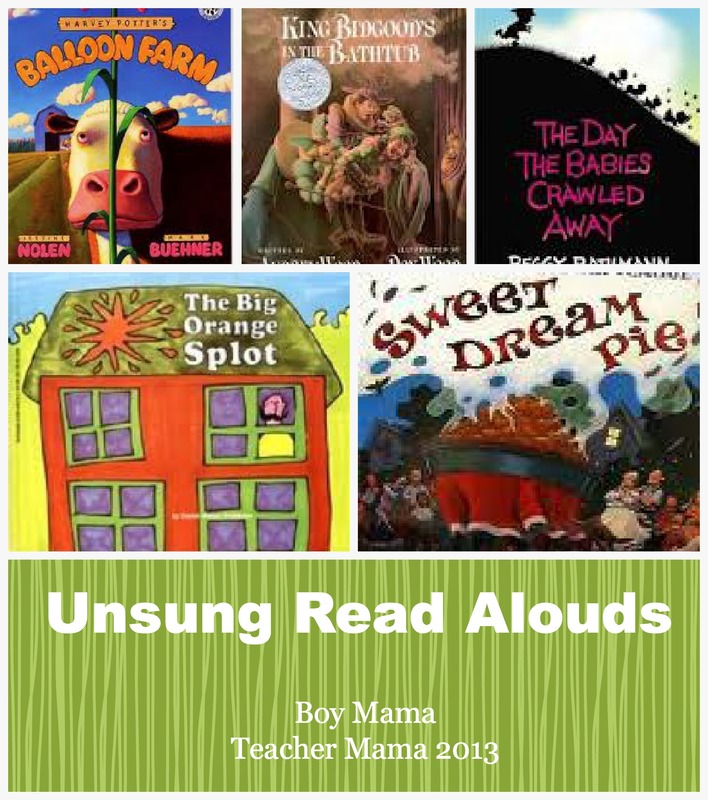 Actually, I love reading aloud to any children that will listen. I tend to find books that are a little off the beaten path and they become my favorites to read. I’m sure you all will agree that there is nothing better than snuggling up with your freshly bathed, still wet-haired, sweet-smelling children and sharing a good story. Here are a few of my favorite books to read to my boys that you may or may not know about. “Help! Help! Cried the Page when the sun came up! King Bidgoods in the bathtub, and he won’t come out! This story takes place at a local fair where the moms and dads are busy with a pie-eating contest, the older children are in line for the rides and the babies are chasing butterflies into the trees. The grown-ups do not notice the babies crawling away, but one small child wearing a fire hat takes notice and follows them into the woods where he (or she!) cares for them and gets them back to the fair and their parents safely. We all know Peggy Rathmann from her popular, best-selling book, Goodnight Gorilla. This book, however, is one of her “unsung” and, in my opinion, best books. Rathmann uses a light, rhythmic text to tell the story that stays with you even after the book has been put back on the shelf. The illustrations are silouhettes against a colorful sky leaving a great deal of what happens in the story to the child’s imagination. As a bonus, readers can find the caterpillar that accompanies the child into the woods on every page. The gentle and soothing ending, where the child tells his mother about the day’s adventures makes this a perfect bedtime story as well. While reading this book all your senses are awakened. You can feel the heat drifting through the neighborhood while the pie is baking and you can feel the cool breeze move through as the Brindles blow on it to cool it off. You can feel the characters full bellies as well as their drowsy heads. And, if you try really hard, you can almost tasted the sweet dream pie yourself. Mr. Plumbean lives on a “neat street,” a street where all the houses looke the same. Then one day, a bird carrying a bucket of bright, orange paint drops the can right on Mr. Plumbean’s house (“no one knows why”). The neighbors beg Plumbean to paint his house right away so the street will be “neat” once again. 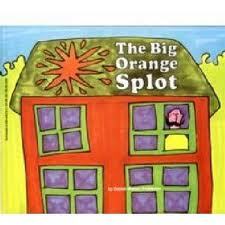 But Plumbean decides he likes the big, orange spot, decides to keep it and proceeds to paint it his way. His house becomes “like a rainbow,” “like a jungle” and “like an explosion.” The neighbors were furious and begged him to paint it like it was before. He refuses and one by one his neighbors stop by to chat with him over a glass of lemonade and when they leave, they too go home and paint their homes to look like their dreams. What a simple story and wonderful way to teach children that being different is okay. I was actually thinking of doing that one night/morning this summer. Have the kids plant deflated balloons, then wake up to them out of the ground? Just to see their faces… it would be priceless! But first we have to finish school! I LOVE that idea! I have seen that done with jelly beans an lollipops, but your idea is awesome! I just took all of these out from the library that were available, and reserved the rest! Thanks!!! I am so happy to hear that! Will you please tell me what you think? “Why da babies go away? Silly babies!”. 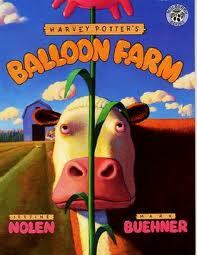 Balloon farm was fantastic for Charlotte. These have been great selections. Thank you!!! Yay! T. is absolutely fascinated by The Day the Babies Crawled Away as was C. Glad C. like balloon farm- doesn’t that book make you want a balloon farm too? ?